Email marketing is one of the fastest ways to drive sales of any online channel. Think about it… What other channel can you launch something and drive sales immediately? 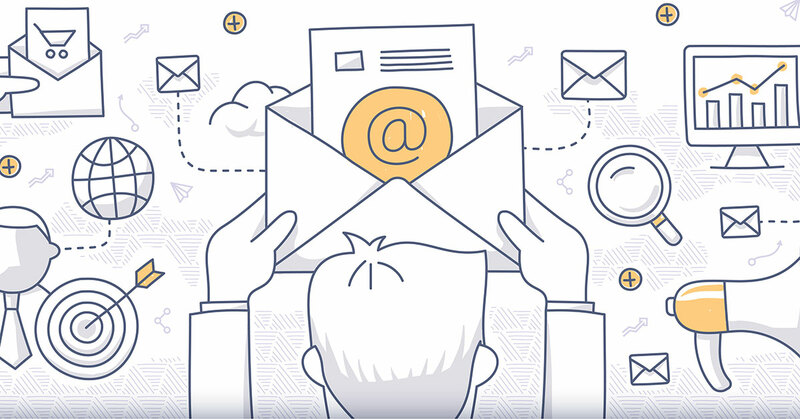 But the biggest challenge most businesses face is they don’t have an email database (which I’ll interchangeably refer to as a ‘list’) big enough to see the benefits of email. It’s hard to build an email database of 10,000 people or more (which is how big it needs to be to really start seeing the power of email marketing). The ‘traditional’ method of growing an email database is to give away a special report, video or e-course in exchange for an email address. The challenge with this method is that even if you can get a cost-per-subscriber of $5 (that’s $1 per click and a 20% conversion rate on your landing page) you’ll need to spend $50k to generate a 10,000 person database. 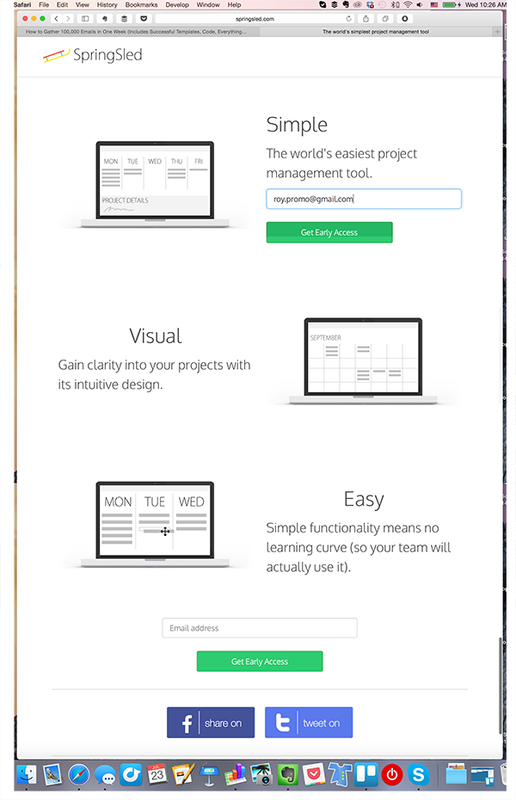 If your cost-per-conversion is $10, then it will cost you $100k. How many businesses can afford to take away $50k from their online advertising channels to grow their email database? Especially when you really need to grow your email database fast (you should aim to build an email database of 10,000 people in less than 6 months). The good news is that there are a lot of different ways you can grow your list fast, at a much lower cost-per-subscriber than $5. A viral competition is a competition where you enter with an email address, and then get extra entries for every person who signs up from your referral. 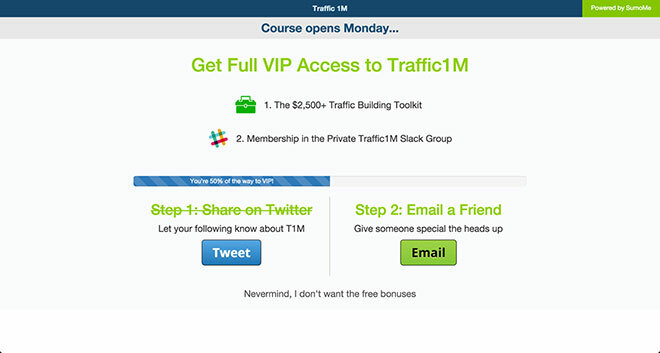 As you can see, you get 3 extra entries for each person who signs up through your referral link. Plus you’re encouraged to share it via email, Facebook, Twitter, Pinterest or LinkedIn. For this viral competition we generated 2,987 emails for a total cost of $6,661.11 in just over a month. That’s a cost per email subscriber of $2.23! Viral competitions are one of the fastest ways to build up a qualified email database. The software we use to run the viral competitions is KingSumo Giveaways. The SumoMe apps are some of the best apps I’ve used for building an email database (and I’ve tested a lot). The two apps I’ve seen the best results from are List Builder and Scrollbox. The List Builder app is a popup that can be triggered when a visitor is about to leave the site, or after a certain amount of time being on the site (SumoMe recommends that you test displaying the popup after a visitor has been on the site for 15 seconds). With the List Builder app we convert 2.24% of visitors into email subscribers, based on visitors who are about to leave the site. The Scrollbox app appears at the bottom of the page when the visitor scrolls a certain percentage down the page. 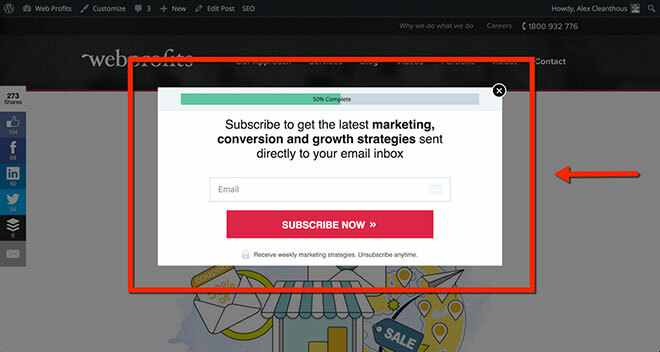 With the Scrollbox app we convert 2.59% of visitors into email subscribers (note: these are mostly different email subscribers than people who subscribe via the List Builder app). We display the Scrollbox when a visitor scrolls 50% down the page (and we’re testing it against one that displays when a visitor scrolls 20% down the page). I’ve tested the Welcome Mat and Smart Bar apps as well but they didn’t produce anywhere near the conversion rate of the List Builder and Scrollbox apps (note: that doesn’t mean you shouldn’t test them on your site… it’s just that they didn’t perform that well on our site with the setup we used so we removed them so not to distract the visitor too much while we figure out new ways to test them). 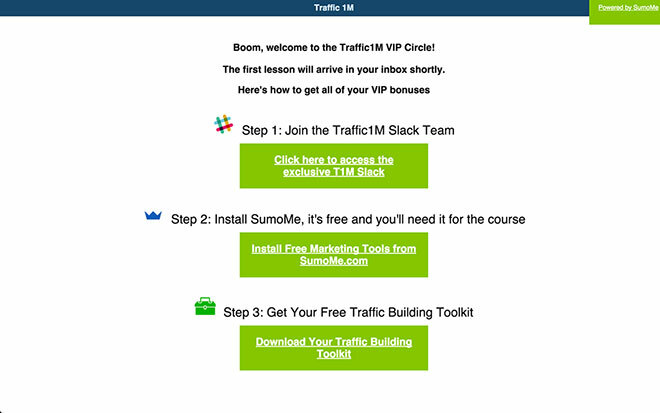 You can certainly get away with using the free version of the SumoMe apps… but if you really want to take your results to the next level you should upgrade to the paid version of the apps. 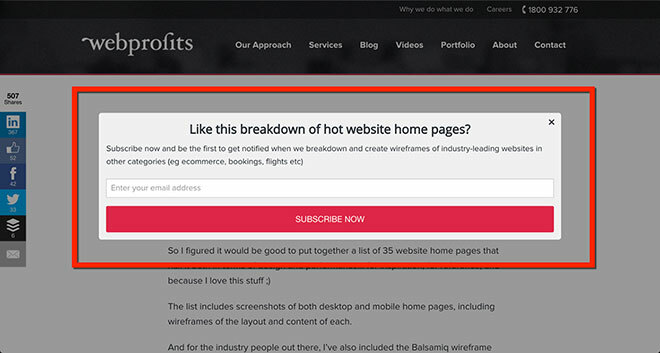 With the paid version of SumoMe you can customize the apps for specific pages on your site. So instead of having a generic popup asking you to subscribe, you can actually customize the popup to the content on the page. The conversion rate jumped to 3.58%! Now it won’t make sense to do this on every page on your site but you should definitely check your ‘top pages’ report in Google Analytics and customize the List Builder and Scrollbox apps to the content of your top 10-20 web pages. With the paid version of SumoMe you can AB test the messaging in the apps to maximize the conversion rate. So instead of just coming up with your best guess for what will convert, you can create 2 versions of each popup to figure out the one that converts best, and then try to improve on that. Well, by just changing the text in the popup, the new variation is converting at 2.58%… an improvement of 16.77%! And if it continues like this we’ll stop the original and then try to beat the new control. 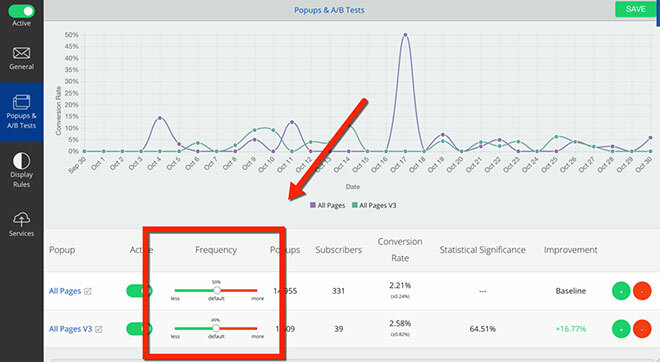 One of the best parts of the SumoMe AB testing functionality is you can choose to test your new variation on a smaller portion of your traffic first so you don’t risk too much of your traffic on an unproven version. 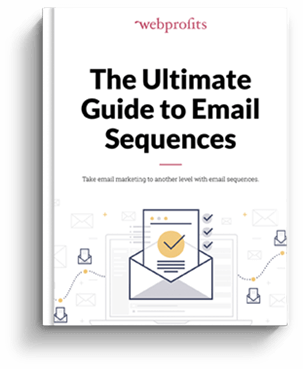 And when you combine epic posts with some of the other tactics I mention in this article (like SumoMe, Content Upgrades and Leadboxes) you’ll see a big increase in your email subscribers. Epic posts will usually take around 15-30 hours to write and require a huge effort from the author (this article took me about 15 hours to write). 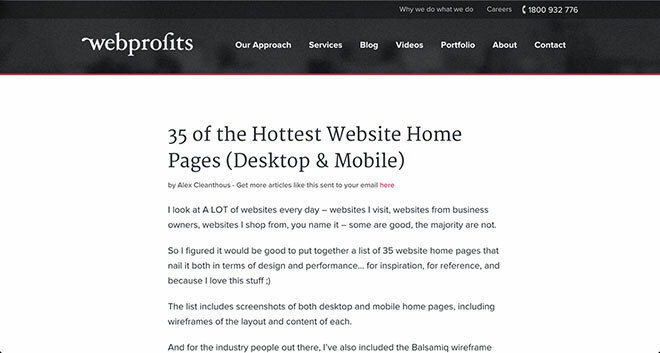 A Review of The Iconic’s online marketing strategy – this is an epic post I wrote at Web Profits. 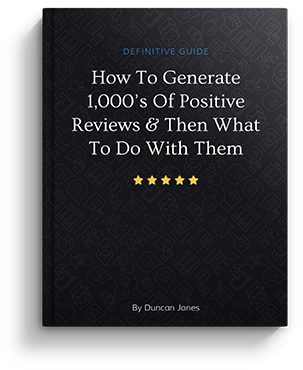 I wrote this review 12 months ago and we’ve received more than 800 shares, hundreds of email subscribers, and a dozen or so new clients as a result of the content we shared in this post. 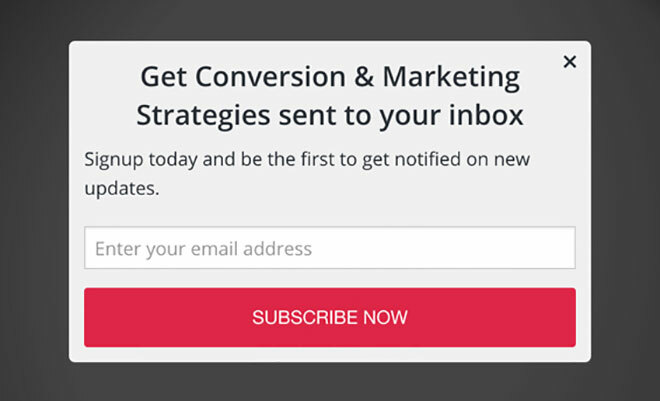 20 Tips for Dramatically Better Emails – this post by GetVero is an indepth guide on email marketing. This article ranks in the top 3 spots for ‘email marketing best practices’, has received over 10,000 shares and more than 1,000 links. 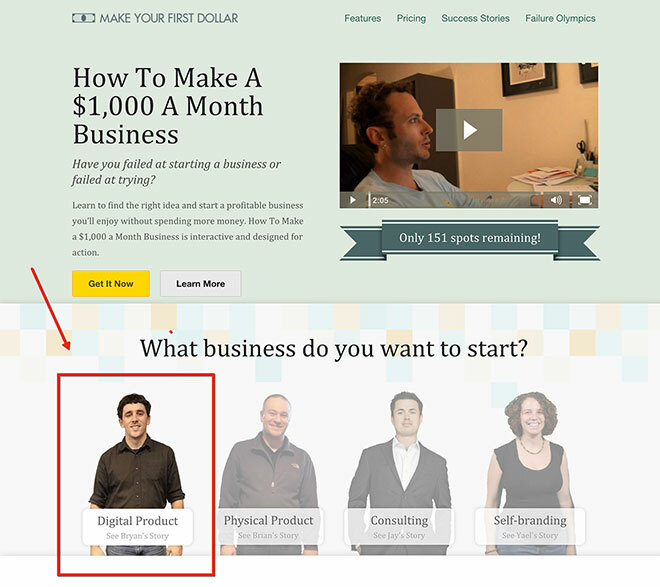 How to launch an online course and make $220,750 in 10 days – this article is a complete breakdown of how Bryan Harris made $220,750 launching his email marketing course. It includes the entire process he went through from building the list, to launching the product. As you can see from this post… it’s epic. Plus he uses a Content Upgrade that includes templates he used to launch his course. Very compelling. 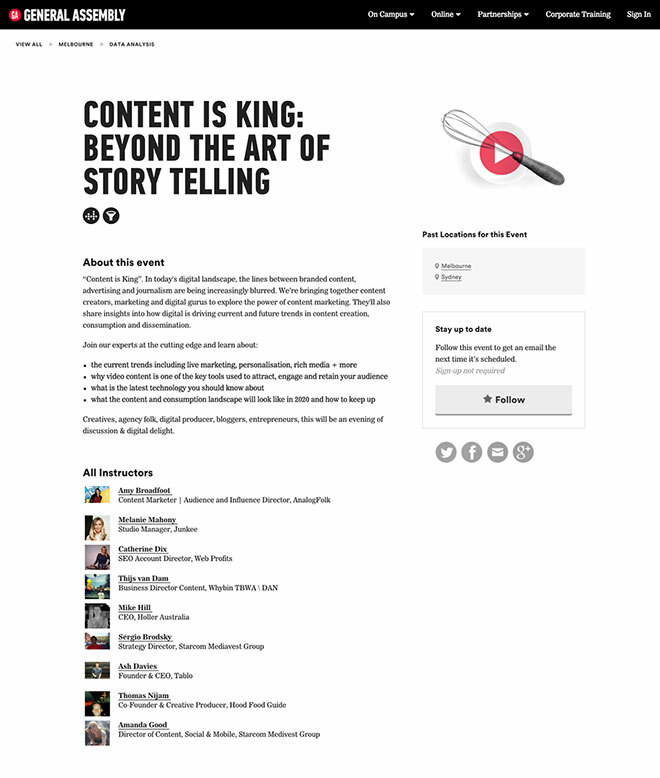 14 Examples of Truly “Epic” Content: How Does Your Stack Up – this article provides 14 more examples of epic content. 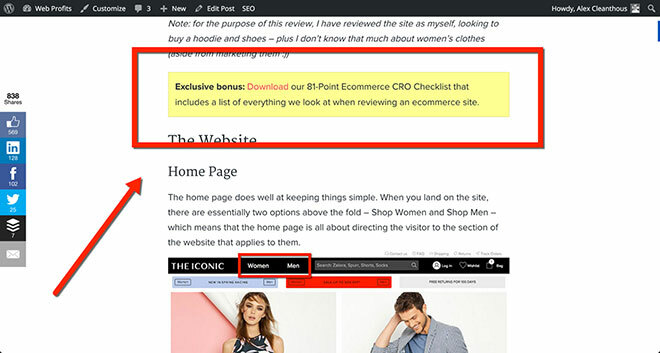 This Content Upgrade is an 81-point Ecommerce CRO checklist that includes a list of everything we look at when reviewing an ecommerce site (we use the same design style for the Content Upgrade as Brian Dean does at Backlinko). The key to getting the best results from a Content Upgrade is to create a piece of content that perfectly aligns with what the original article is about, and offers additional value that is so good that readers are compelled to enter their email address to receive it. Content Upgrades work best with an epic post, however the real requirement is that you have content on your website that receives traffic each and every month. If you get it right (and depending on the traffic source) you can expect to convert anywhere between 1% and 10% of the readers that land on the page. It’s a bit of work to setup but if you’re getting ‘free’ traffic to your content each month from search engines, social media or directly then all you need to do is set it up once and let it run forever. The key is to make sure the Content Upgrade is evergreen (ie not time-based). Noah Kagan shared this tip at the Digital Elite Camp conference I attended in Estonia this year. 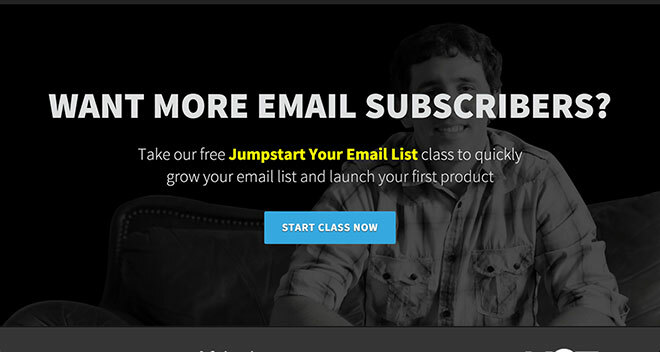 You and your team send hundreds of emails each day to people who might not be subscribed to your email newsletter. Click here to learn more about our Fluid Online Marketing approach. For us (right now) it’s more important to promote this new initiative than to build up our email database (as we have many other list building initiatives under way). 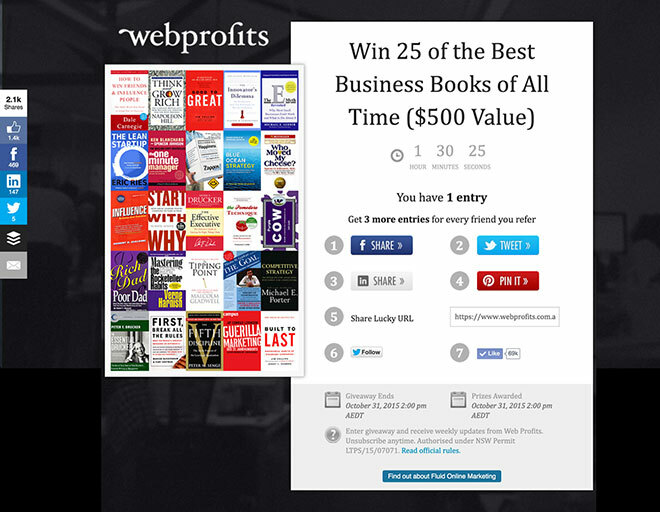 For your business, you can use it to build emails, promote offers or share news. We recently ran a few events with General Assembly. The aim of these events was to deliver value to both of our audiences and to expand our reach… General Assembly emailed their database and we emailed ours. The key with a strategy like this is to have an automated email marketing sequence that introduces your company to new subscribers and builds your credibility (eg by sharing high-value content). You can implement this type of strategy for an event (like we did), you can create a joint content piece (like a special report), or you can create any other value-added promotion you can think of that will deliver value to both of your audiences. Personally, I’m not as much of a fan of a Content Cliffhanger as I am of a Content Upgrade. Because with a Content Cliffhanger, the content you’re delivering is incomplete which means it won’t be shared as much, you won’t get as many links and you might alienate some of your readers. If you are going to use a Content Cliffhanger then make sure that the information you include pre-opt-in is amazing. Optimonk is a behavior-based popup software where you can show a popup based on the actions a visitor takes on your site, similar to SumoMe. Or if they’re in your shopping cart and are about to exit. The main difference between Optimonk and SumoMe is that with Optimonk you can create much better designed popups with more customized messaging (it’s also more difficult to setup than SumoMe). You can also use Optimonk for more than just email capture. 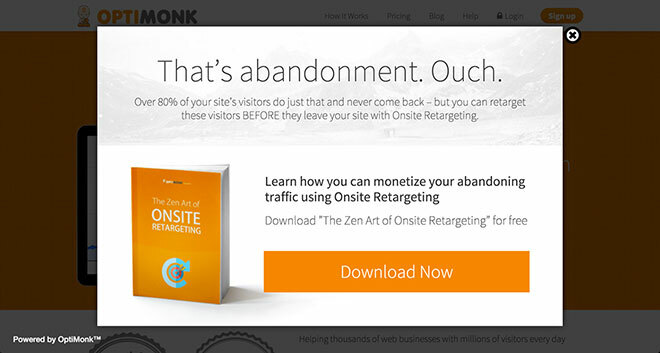 For example, you can use Optimonk to reduce cart abandonment rates (see #18 in the list). This is one of my favorite strategies and will be something that we’ll be using at Web Profits a lot more over the next year. The best part about a viral loop is that you can potentially achieve negative churn… which is where your database grows for every person who subscribes (rather than decreasing slowly over time as people unsubscribe – referred to as ‘churn’). 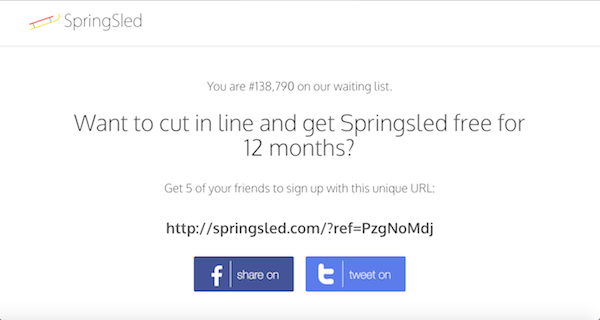 A viral pre-launch campaign follows the same approach as a viral loop for opt-ins, except with a viral pre-launch campaign you’re using it to launch a product and you’re giving away free product or advanced access in exchange for referrals. A lot of startups use this strategy to launch their businesses to a crowd, rather than launching first and then figuring out how to get users. It’s a really simple approach that can be super powerful if done correctly. The key with this strategy is to have a product that people really want, and make it as compelling as possible for subscribers to share it with their friends and colleagues – the better the upsell offer (eg 12 months free) the more likely the campaign will go viral. 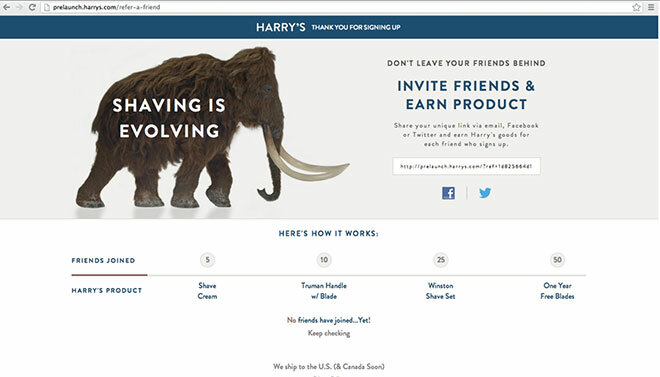 When people subscribed they were taken to this page, where they could receive free product for each person they referred – the more people you referred, the more free product you received. 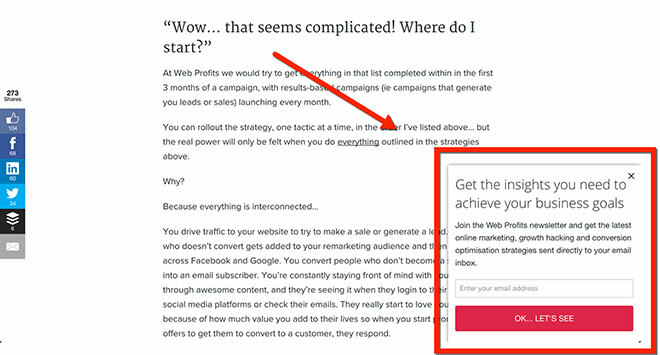 Again, it’s a pretty simple strategy (a 2-page microsite) that can achieve extraordinary results. If you’d like help creating a pre-launch viral campaign like this one, click here to get in touch. This tactic really depends on what type of business you have and it likely won’t apply to most ecommerce or serviced-based businesses (even though I’m seriously considering it for Web Profits). The stategy here is that your home page is often the most visited page on your website, and often time by people who already know you (ie return visitors). 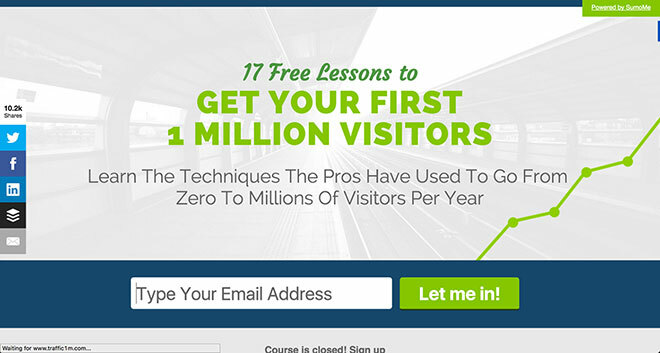 So why not use this page as an opt-in page that sells visitors on joining your email database? 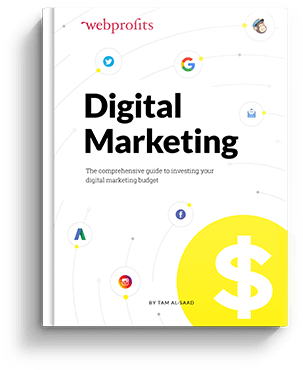 This type of strategy works best for businesses where content marketing is a key part of their online conversion strategy, such as bloggers, information marketers, and well-known personalities. Use this tactic with caution as you don’t want to hurt the conversion rate of your main offering just to build your email database. 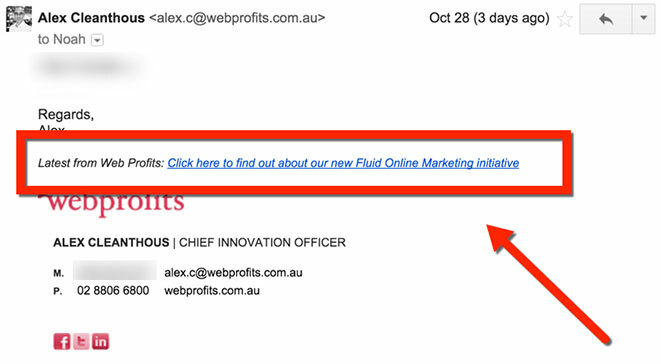 The tactic here is to maximise every part of a blog post to capture emails. In this instance it’s to add an opt-in to the author byline below the headline of the article. 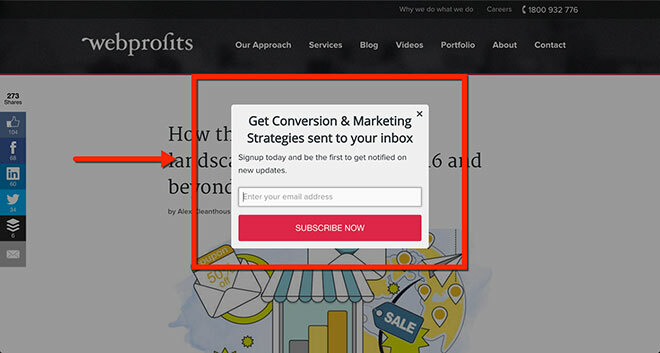 We use Leadboxes from LeadPages to manage the opt-in process because it’s fast and easy to use. 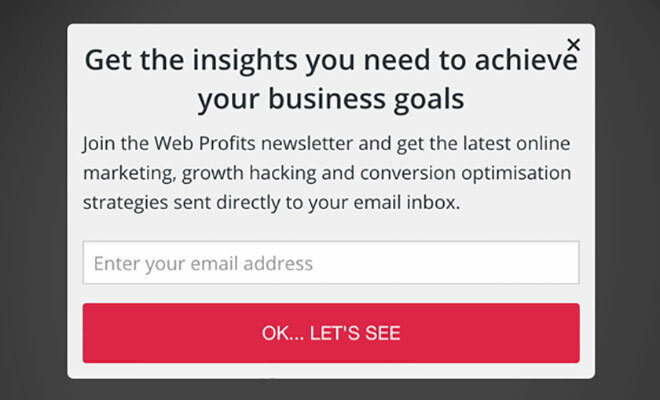 The other benefit is that you can AB test the messaging in the popup to incrementally increase the conversion rate over time. 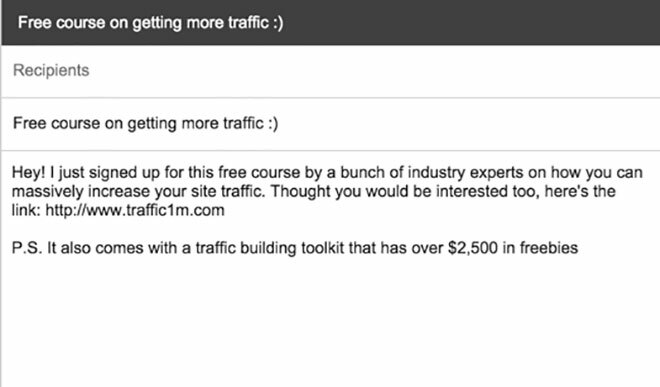 This is a strategy for driving traffic without spending money on advertising. The Poster Boy Formula is where you become the ‘poster boy’ for another company by writing an epic case study on the positive results you achieved from using their product. You email the company about your case study and (if you’re lucky) they use it in all of their marketing. The Poster Boy Formula was developed by Bryan Harris who generated 400 opt-ins after writing a case study on how AppSumo’s ‘How to make a $1000 per month business’ helped his business grow. 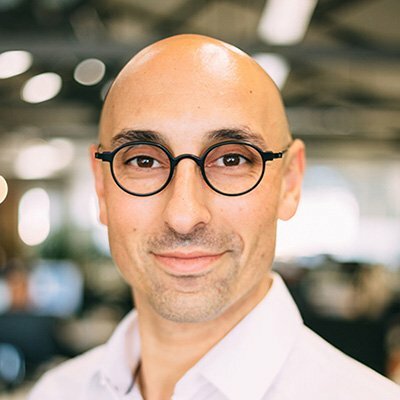 AppSumo emailed their database of over 600,000 people, featured him on their home page, included him in a Lifehacker article, and worked with him on a product launch. The best part about this strategy is that (if done correctly) you can start with zero traffic, not spend a cent on anything (except the product) and drive a ton of new email subscribers. 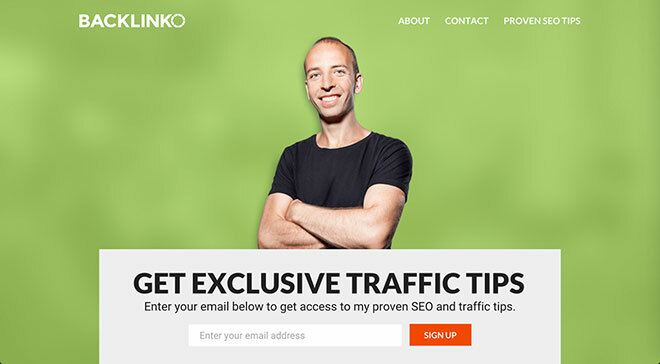 This is another strategy for driving traffic without spending a cent on advertising. You’ve probably already heard about guest posts. 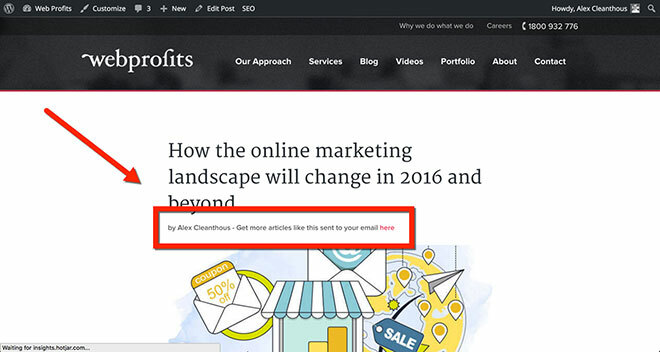 If not, a guest post is where you write an article on somebody else’s blog – that’s it. The key with using guest posts to build up an email database is to find websites that have a big audience, and where that audience is similar to the type of people who fit your target market demographic. You then write them an epic post and include Content Upgrade style calls-to-action within the content and within the About The Author section. Neil Patel shared this strategy about how he guest posts for sites like Mashable and Entrepreneur to drive traffic (and opt-ins) for his business. If you implement just one of these hacks you’ll start to see some results. 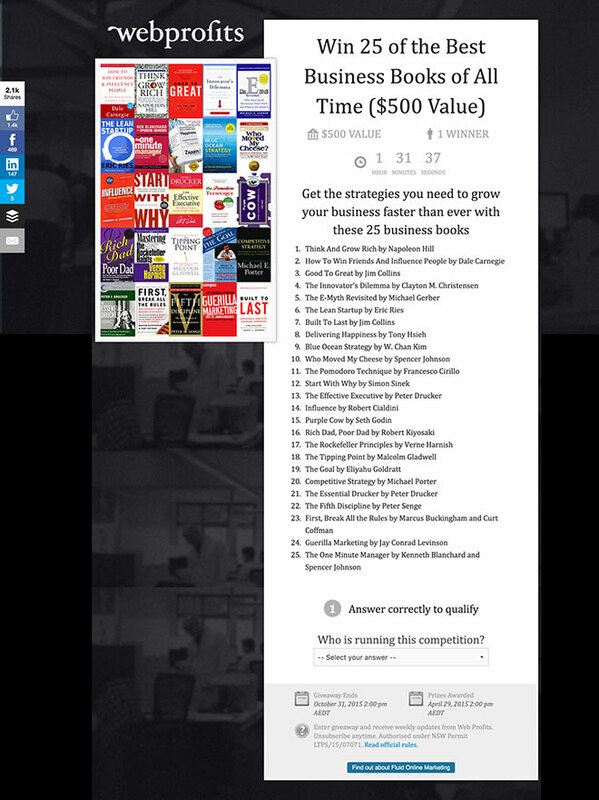 But if you want to get the best results my advice is to implement as much as possiblefrom this list. Do you have any other list building hacks? If so, feel free to share them in the comments section below. Idea number 1 creating a viral competition is nice. But for startups it’s too expensive.